Sailor ডিজনি Princess. Danichuy work of Rapunzel as a Sailor Scout. HD Wallpaper and background images in the ডিজনি জগতের রাজকন্যা club tagged: disney princess sailor moon rapunzel sailor disney. Oh cool! 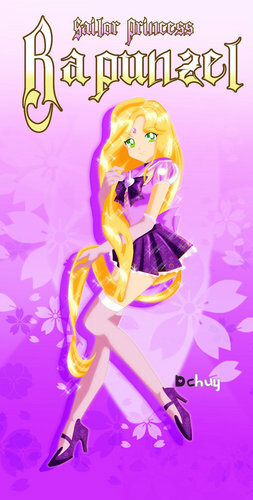 They did a Sailor Rapunzel.